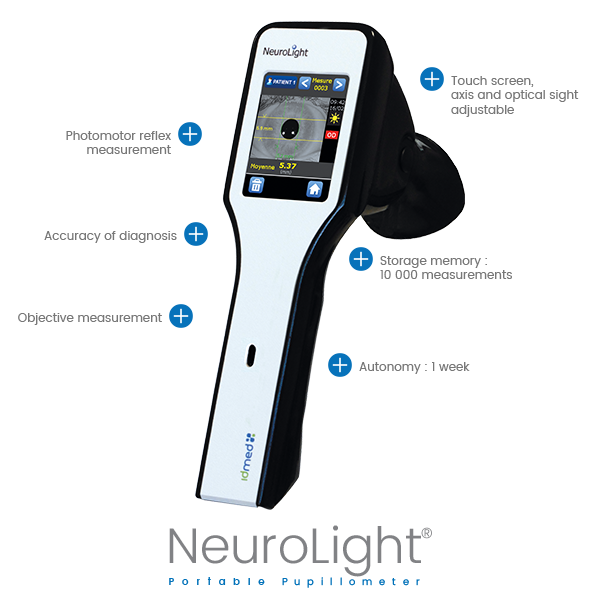 The NeuroLight, a small pupillometer, allows a thorough examination of the pupil and its dynamics with great precision. 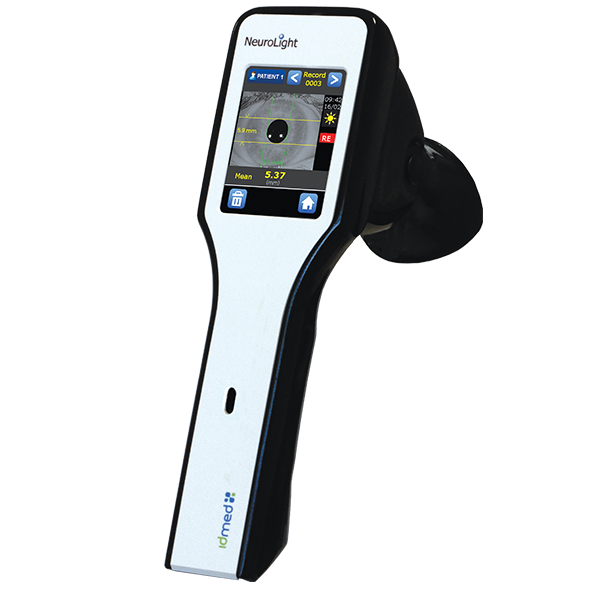 It is the only pupillometer equipped with a telecentric optical system which does not require any calibration step or compensation of the measurements according to the physiognomy of the patients. The measurements taken are absolute measurements and do not depend on the operator. 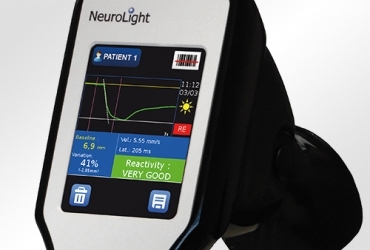 NeuroLight’s computing power also makes it possible to analyse and record eye movements in order to extract nystagmus and calculate their frequency and speed. 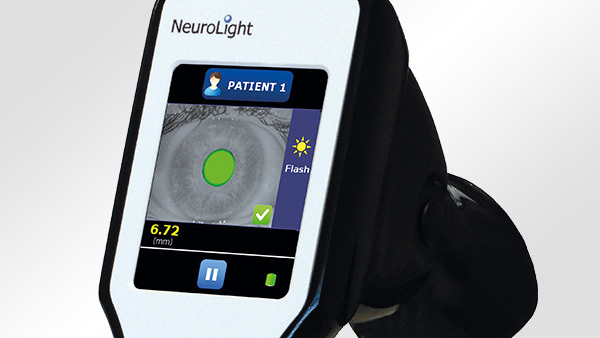 NeuroLight offers fast and accurate measurement of the maximum/minimum diameter and instantaneous measurement of the pupil under photopic, mesopic and scotopic light conditions. 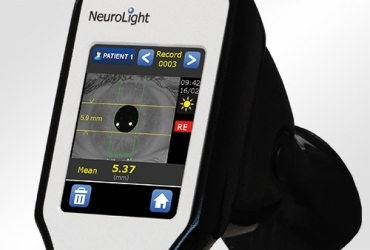 The importance of pupil size before refractive surgery has been demonstrated by several studies (Pupil size and night vision disturbances after LASIK for myopia, Night Vision Disturbances After Corneal Refractive Surgery, …). 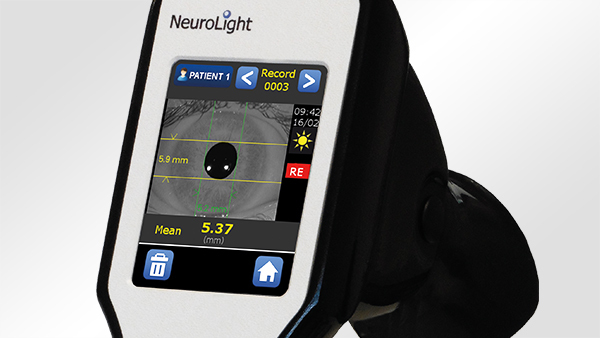 Measurement of pupil size under different light conditions is essential information in the management of patients undergoing refractive surgery. 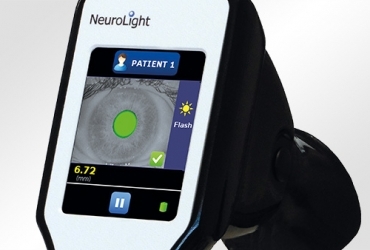 The measurement of the pupil in scotopic condition makes it possible to formalize possible problems of alteration of night vision after surgery. 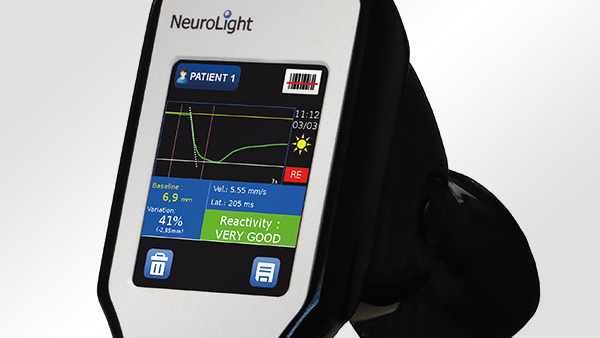 The STA-W1 charging station makes it easy to recharge the NeuroLight in ophtalmology at any time.